I am certain this is not possible, and I can't see how this would be implemented without causing many other unintended problems. But I would be happy to be proven wrong. 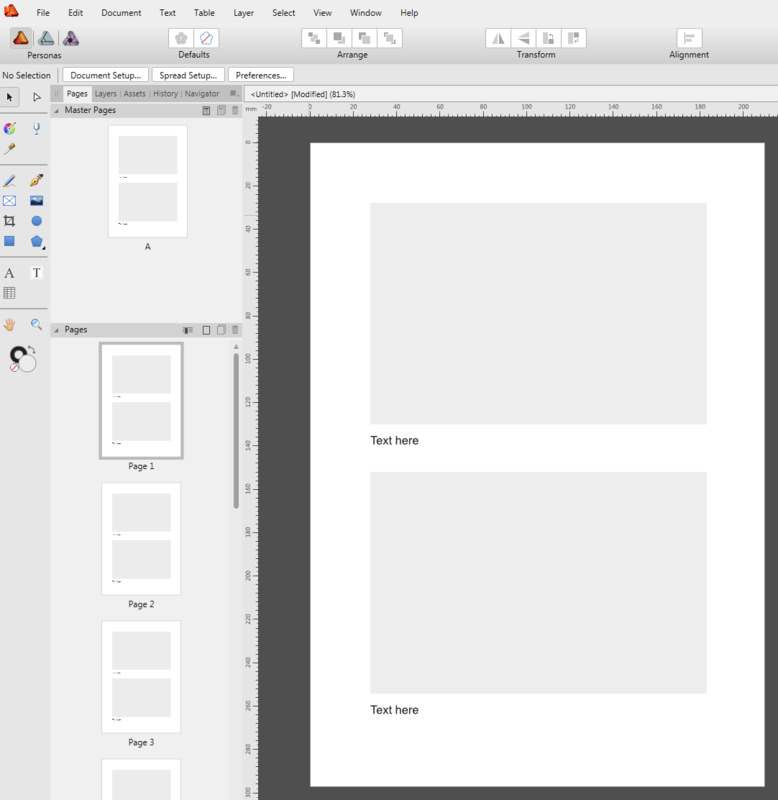 I'm sure this can't be done automatically but you could create a master page with 2 rectangles and 2 text boxes. Apply this master to all created pages. On a particular page, from the layers panel use the Symbols panel to detach the 2 boxes and text frames which can then be used to put stuff in. You'd need to place the photos and drag the layer onto the rectangle to crop it. The items on the page are no longer linked to the master page so you'd need to make sure the master was correct before you started detaching it.